Conspirare kicks off the 16-17 Season with an intimate chamber concert featuring Craig Hella Johnson and a quartet of Conspirare singers. Conspirare’s Cameron Beauchamp, Dann Coakwell, Stefanie Moore, and Kathlene Ritch perform the Pulitzer Prize-winning quartet version of David Lang’s stirring work. Complementing this masterwork will be a collection of radiant and uplifting songs curated by Craig. 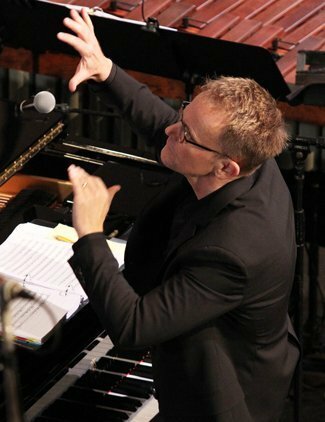 Conspirare’s signature holiday concert, featuring Craig Hella Johnson’s renowned collage-style programming. With singer-songwriter Matt Alber. Craig Hella Johnson’s concert-length Considering Matthew Shepard will continue touring and will be filmed at Austin’s Moody Theatre in partnership with KLRU. Craig Hella Johnson will curate an eclectic and refreshing program featuring an 18-voice Conspirare ensemble singing across a broad musical spectrum. Classical, folk and popular styles and idioms will be represented in a musical journey that explores the beautiful and extraordinary ways words and music encompass the journey of women. To include a workshop performance of Songs for Muska, a newly commissioned choral work for Conspirare from composer Jocelyn Hagen based on folk poetry by Pashtun women. CYC ensembles Prelude, Kantorei, and Allegro present their annual concerts. Directed by Nina Revering.